Last week, I facilitated a recruitment roundtable with some of the best talent in Silicon Valley at the WIN CTO Summit. In attendance were CTOs, angel investors, VCs, and high-level tech executives. 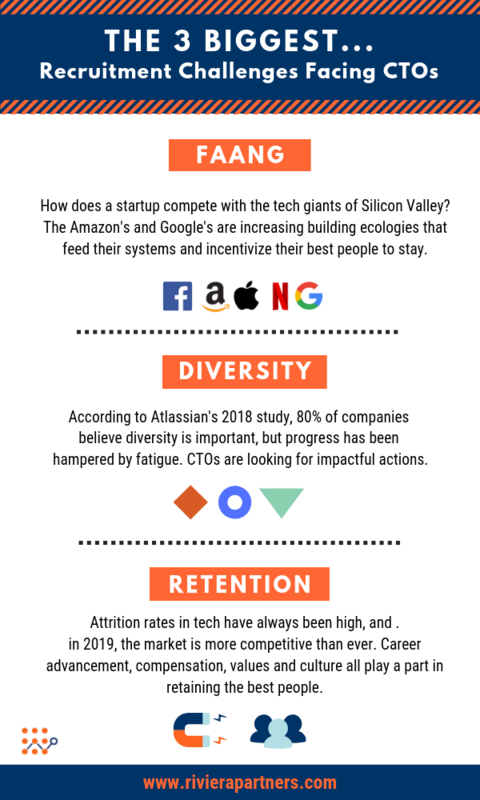 The three challenges they all are most concerned with are FAANG, diversification, and retention.